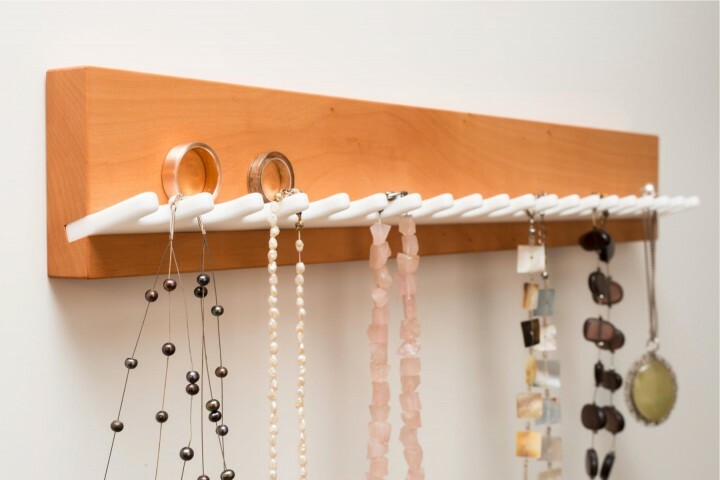 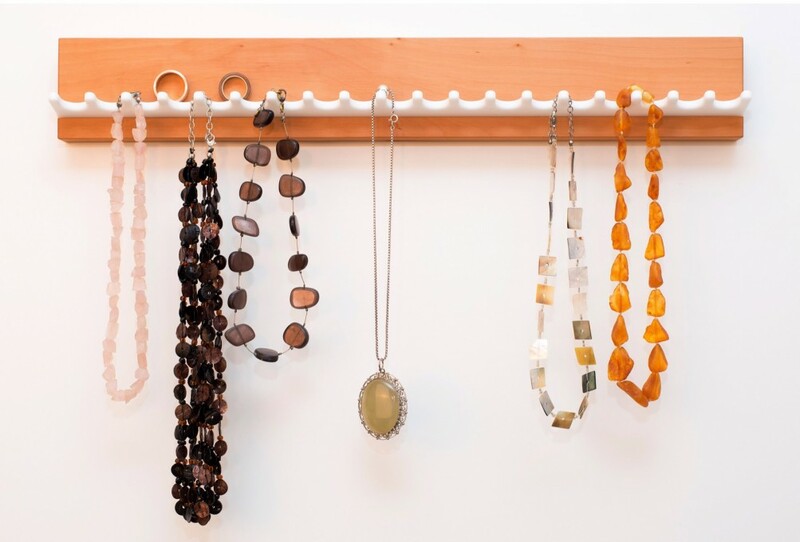 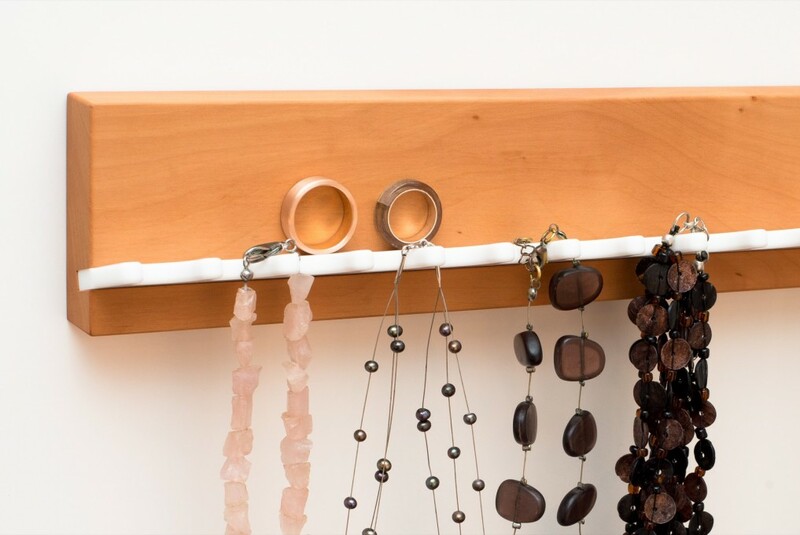 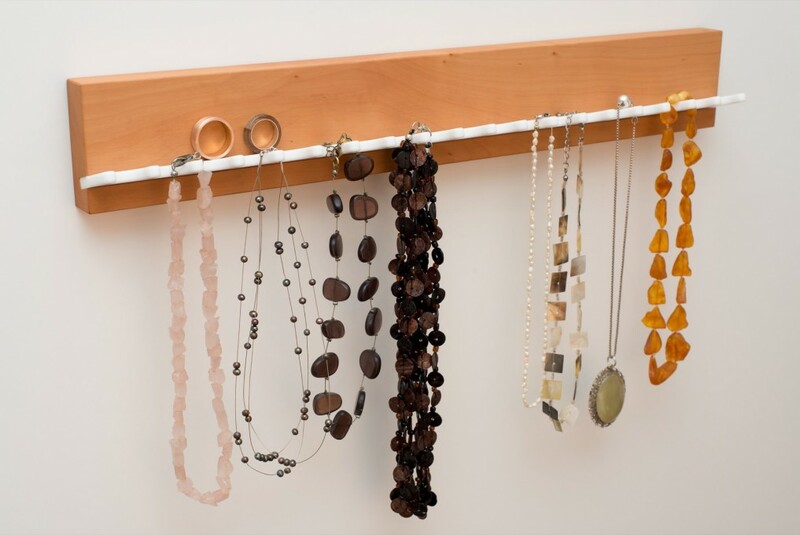 Make the most of your beautiful jewellery with our jewellery holder. 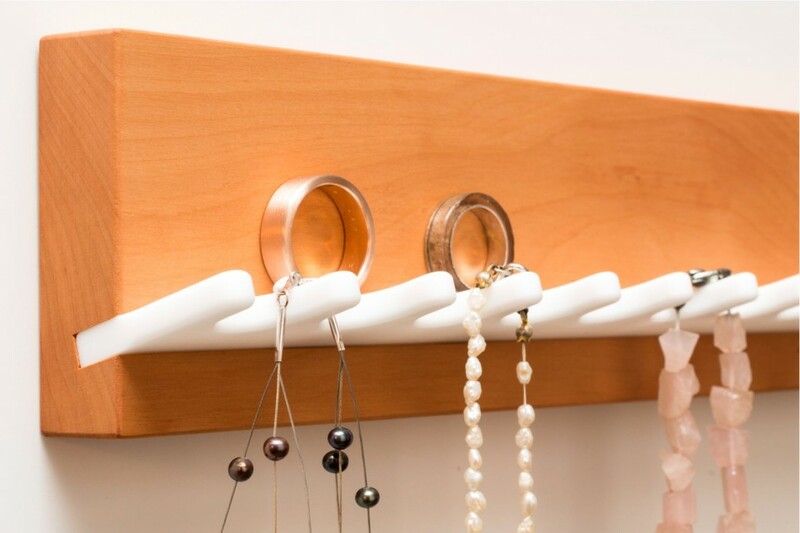 Simply store jewellery on this stylish holder and let your bathroom or bedroom wall shine in new splendor! 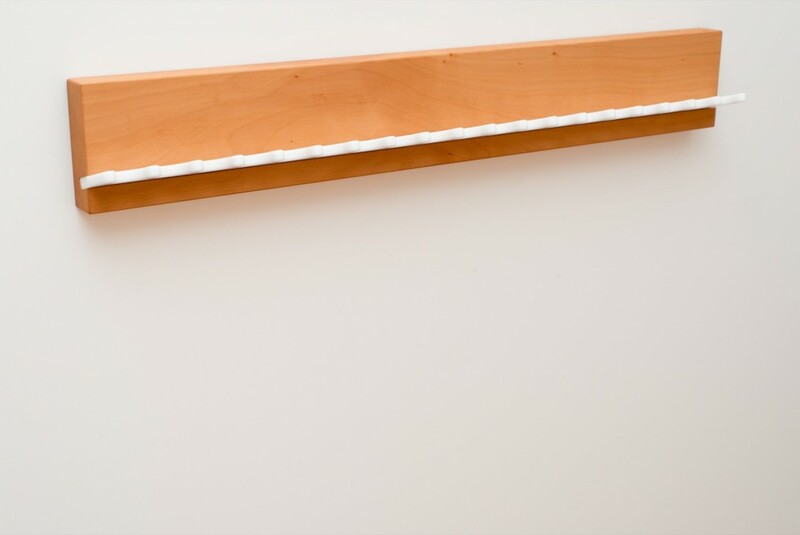 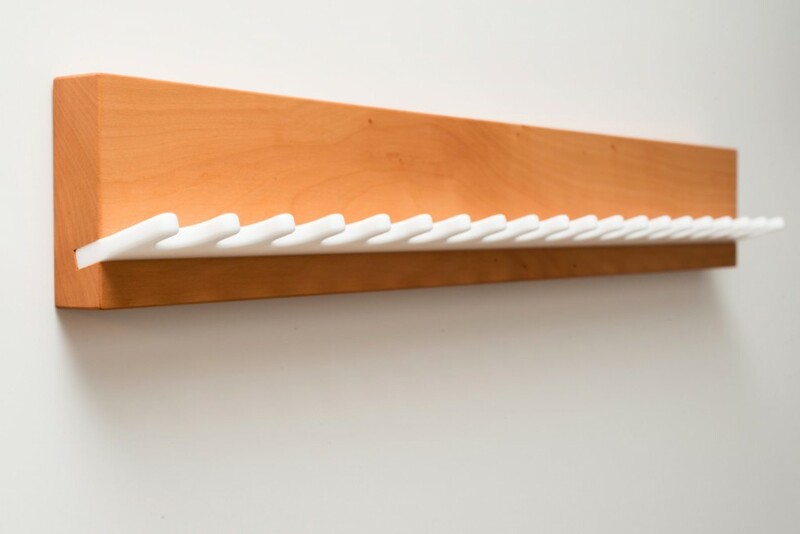 Pegs of white acrylic solid surface material contrast with your choice of either solid oak, pear, beech, or nut wood and enhance your bed- or bathroom.